Shinkite library of Buddhist scripture is one of the forty eight Buddhist scripture libraries in Mraukoo. The door was king Min Pa Laung. The gilded palm leaves written Pitakas, are in the library, and the monks of the nearby monasteries use them. Shinkite library is situated near Shinkite gate in the north of Htupayone pagoda. 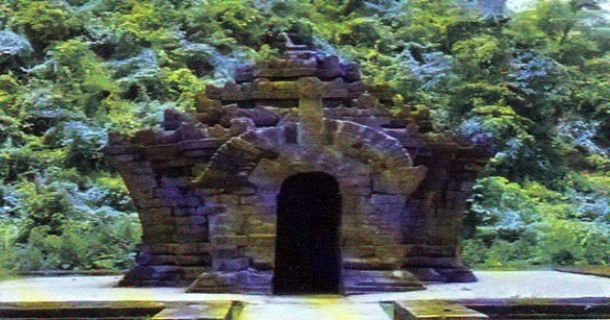 At the ancient time, king Min Pha Laung donated the library and Pitakas for the monks who lived in Taungnyo monastery in AD 1591. Each side to the library is 13 feet long and the porch of the library is 6 feet high. The wall is concave and it is in the form of the lotus flower. The outter wall of the library is decorated with flowers and flowering creepers. The seven levels of the graduated turret which are 15 feet high, are above the substructure. The library is enclosed with the wall. Previously, the bronze Buddha image was in the perfumed chamber. Nowadays, the Buddha image and the throne don’t exist in the library. The department of archaeology preserves it.